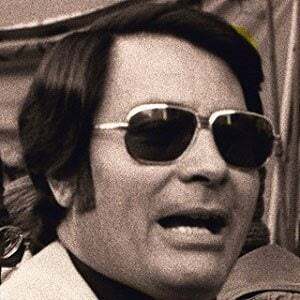 Infamous as the leader of the Peoples Temple cult, he orchestrated the 1978 Jonestown, Guyana murder/suicide of close to 1,000 members of the organization (including more than 200 children). Jones died from what was likely a self-inflicted gunshot wound. Before founding the Peoples Temple, he was involved with the Communist Party USA and also directed Indiana's Human Rights Commission. Before establishing his quasi-religious community in Jonestown, Guyana, Jones based his organization in Indiana and California, U.S.A. The 2013 horror film The Sacrament was largely inspired by the events of the Jonestown massacre. He grew up in Indiana and Virginia as the child of Lynetta Putnam and World War I soldier James Thurman Jones. He married Marceline Baldwin in 1949 and went on to raise six adopted and one biological child. United States Congressman Leo Ryan was murdered in Jonestown while investigating claims of human rights violations there.